Featuring a dial in glossy black enamel, the new Resilience in red gold is a limited edition of just eight watches. You’ll find specs and the price below. Named “Resilience” because its vitreous enamel dial is fade resistant and lasts almost forever, the original model bearing that name was fitted with a white enamel dial. 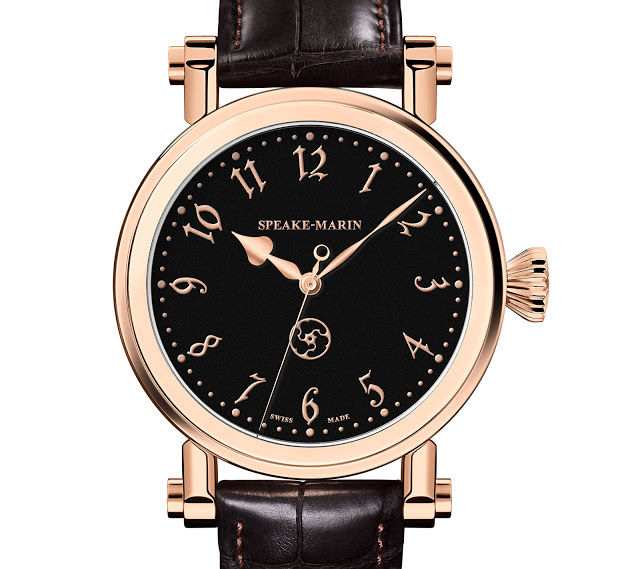 Now Speake-Marin has made a small run of Resilience watches with a black enamel dial, a colour scarcely used because of the difficulty in producing it. Being difficult to achieve consistency in colour across a production run, black enamel is uncommon and pricey. The Resilience in black is limited to eight watches in red gold, with a case size of 42 mm. It’s powered by a Vaucher automatic movement, made by the same specialist that supplies Parmigiani, Hermes and Richard Mille. The black dial has painted markings and numerals in a copper tone to match the case, with the numbers in the same Gothic font as on the new Veshelda Gothic. The Resilience Black Dial is priced at SFr21,900 excluding taxes.